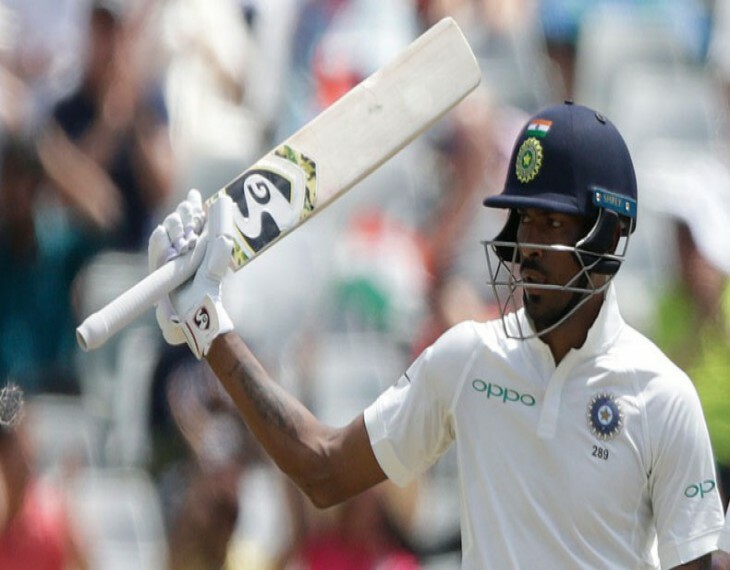 Hardik Pandya went on a thrilling counter-attack to halt South Africa's progress on the second day of the first Test against India at Newlands on Saturday.Thanks largely to Pandya, who made 81 not out off 68 balls, India was 185 for seven in South Africa's first innings of 286.India had been in deep trouble at 92 for seven in the first half hour after lunch.Pandya found in Bhuvneshwar Kumar, who took 34 balls to score his first run and contributed 24 runs in an unbeaten eighth wicket partnership of 93, more than doubling India's total.Pandya's aggression was in stark contrast to the rest of the Indian batting. The tourists scored only 48 runs for the loss of one wicket in 25 overs against South Africa's four-pronged pace attack in reaching 76 for four at lunch.They were lost in the first six overs after lunch, two of them to Vernon Philander.The other wicket fell to Dale Steyn, who took two for 51. Steyn left the field shortly before tea after bowling three balls of his 18th over.He did not return to the field immediately after tea and a South Africa spokesman said he was receiving treatment for a bruised heel.